Some might find it difficult to imagine—in a world of great-power competition and faltering global order—that much of strategic consequence turns upon whether one particular aspect of US declaratory policy is best described by a noun with one adjective or a noun with two. But perceptions matter, so let’s unpack the distinction a little more. The first adjective in the phrase (‘extended’, the adjective everyone can agree on) refers to geography. In essence, it says that the deterrent powers of the US arsenal are ‘extended’ to cover forward-based allies and not merely the US homeland. Since US alliances are transoceanic, that first adjective plays an important role. 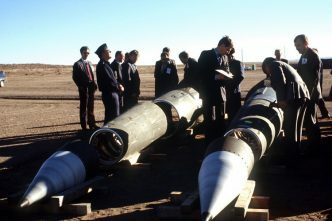 But the second, disputed, adjective refers to a more specific commitment—an assurance that the deterrent effects of US nuclear weapons are extended to cover forward-based allies. The word ‘nuclear’ underlines the level of seriousness of American commitment towards its allies’ security. The first adjective focuses on the geography of obligation, the second on its intensity. 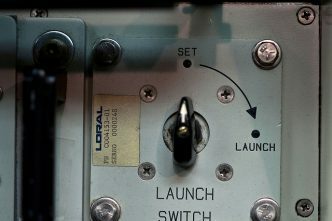 Allies tend to focus on the nuclear element of deterrence because, as signatories of the Nuclear Non-Proliferation Treaty, they’re not entitled to build nuclear weapons of their own. Either nuclear deterrence comes to them ‘extended’ by a nuclear-armed ally or it doesn’t come to them at all—unless, of course, they choose to withdraw from the NPT and develop their own nuclear weapons. That’s why proponents of extended nuclear deterrence often see it as the key to non-proliferation. 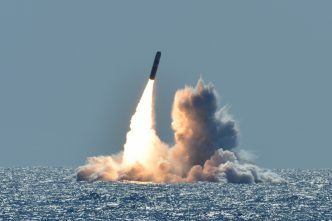 Naturally, an important stress test for the doctrine of extended nuclear deterrence is whether or not allies find it credible—that is, do they really believe that Washington would fight a nuclear war on their behalf when doing so would increase the risk of nuclear attack on the US homeland? Michael Quinlan, the British strategic thinker, once described the ‘appallingly difficult dilemma’ that extended nuclear guarantees encountered: ‘how to give confidence to the forward members of an alliance in which nuclear power had for various reasons to be concentrated not in their hands but mostly in the hands of the rearmost member, on the far side of an ocean’. That confidence tends to be shaken even by small things—such as the omission of the second adjective from the phrase ‘extended nuclear deterrence’. Allies tend to see the full phrase as an important, if totemic, indicator of their own worth in the international order, whereas some in Washington probably see the phrase as entailing an unfortunately specific, and perhaps unnecessary, form of entanglement. By contrast, allies tend to interpret the phrase ‘extended deterrence’ as a specific form of abandonment, whereas some US policymakers see it as a mere statement of strategic fact—that effective deterrence depends on a spectrum of capabilities rather than mere nuclear threats. I said at the outset that this wasn’t simply a debate between the US and its allies. 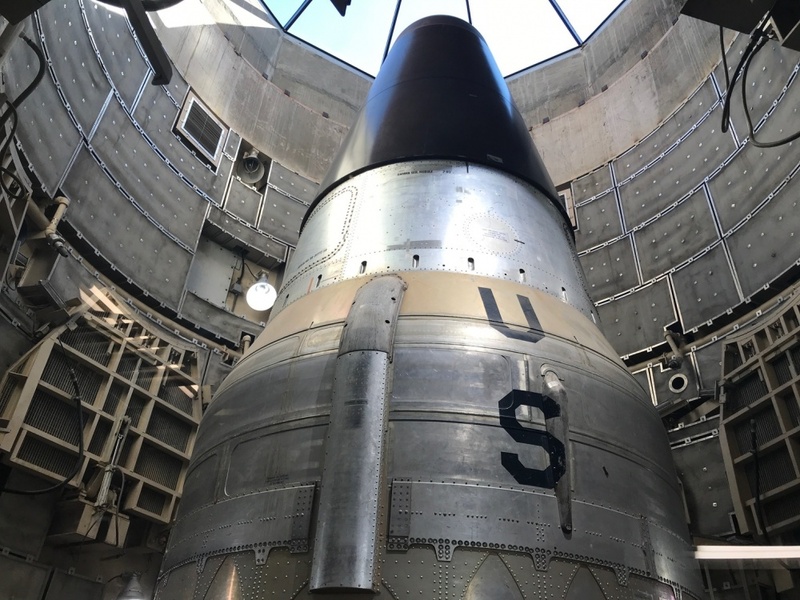 Sometimes US—and allied—declaratory statements shift around, using the phrases either interchangeably or in support of a broader messaging about the role of nuclear weapons in US strategic policy and their prominence in alliance relationships. The Trump administration’s Nuclear Posture Review, for example, uses ‘extended nuclear deterrence’ 11 times and ‘extended deterrence’ only six—in each case attempting to pick the version which best portrays the message it’s trying to convey. The second adjective typically appears in the context of strengthening US assurance of allies. By contrast, the Nuclear Posture Review conducted under President Barack Obama used ‘extended deterrence’ 13 times and ‘extended nuclear deterrence’ not at all. But that was a document published back in the halcyon days of 2010, when memories of Obama’s anti-nuclear speech in Prague the year before were still fresh, and the international security environment looked considerably more promising than it does today. 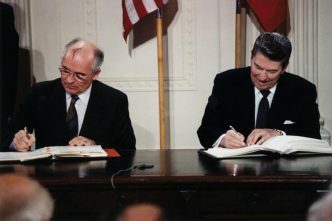 In short, as international security has deteriorated, nuclear weapons have come more to the forefront of alliance politics—and the second adjective has returned. A similar observation can just as easily be made about formal statements by US allies. The Australian government’s response to a set of questions asked by former Greens senator Scott Ludlam back in 2011, for example, shows a preference for the noun with two adjectives, even during the years of a Labor government. But it doesn’t need a particularly determined search of Hansard to show that ‘extended deterrence’ is used virtually interchangeably with its longer-format sibling. One final, real-world wrinkle deserves mention. The term ‘extended deterrence’ might seem to imply greater US nuclear disengagement from its allies and, as I say above, perceptions matter. 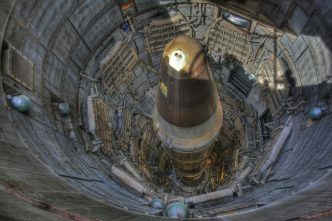 But in reality, America’s nuclear commitments to its allies remain robust under both formulations. Anyone who doubts that might like to read through section V of the Obama administration’s nuclear employment strategy. In practice, there’s less daylight between the two phrases than the debate presupposes. That there’s a debate at all turns upon the fluctuating level of confidence that sits at the heart of current alliance arrangements. Rod Lyon is a senior fellow at ASPI. Image courtesy of the US Department of Defense.